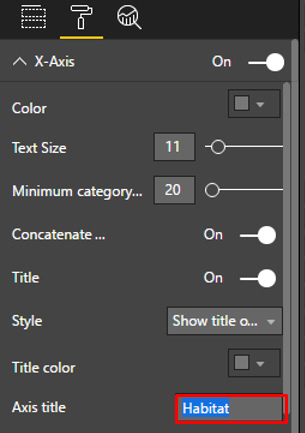 The chart titles come from the fields in the underlying table - previously, the only way to change the titles was to rename the fields. 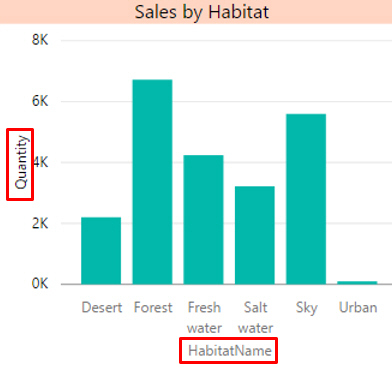 Here I've changed the X axis title to Habitat. Watch out for the double scroll bars! I'm sure these are new. Having one thin scroll bar was bad enough, but when you need to use the left scroll bar to scroll down to see additional properties in a category it's easy to overlook them!